Benefits of infrared sauna therapy for new mothers, nursing and breastfeeding. When I first met Sarah Swanberg (M.S. L.Ac. Dipl.O.M.) of Indigo Acupuncture I was struck by her combination of kindness and intelligence. We immediately connected over our passion for all things wellness and she has been an amazing supporter of Inner Light. 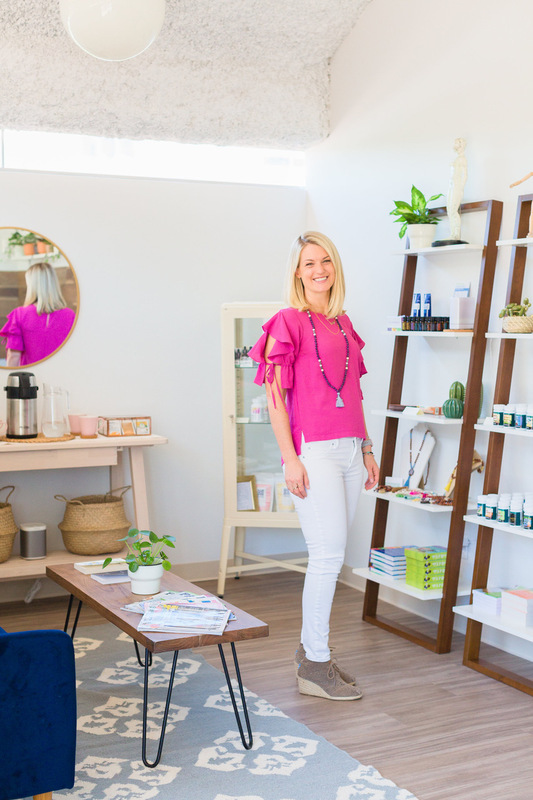 She is a wellness guru in the local community, and has referred many wonderful clients to us, co-hosted events with us, and we recently started carrying her adaptogen line with Maikana Foods! During my pregnancy I practiced intuitive eating – listening to my body’s wisdom and eating what I craved and made me feel good. Sounds simple, but it can be difficult to listen to our own bodies in this climate of fad diets and conflicting information. There is so much unnecessary pressure on pregnant and breastfeeding mothers to eat the “right” things. This pressure, while well intentioned, can distract us from connecting to our bodies and inner wisdom, while also just plain stressing us out. When I decided to start a blog for Inner Light, I knew that I wanted to feature interviews with women that inspire me. I reached out to Cortney Herrera, founder of Wildcare, a holistic skincare line we have the honor of carrying in our Shop. What I didn't realize is the depth of Cortney's wisdom. Self-care is the practice of taking time and space to tend to one’s needs in order to rest, energize, and connect to the Self, from the physical level down to the soul level. It’s a big buzzword in the wellness world and many have said that it is a trend - I believe it is a movement and it is here to stay. It's an essential act that helps us show up as our best self in all aspects of life. It benefits our children, spouses, family, friends and co-workers, as these small acts of love create a positive spiral that reaches outward into society at large. I’m writing this blog as a way to share my experiences & experiments in self-care and wellness. My self-care journey has superficial beginnings – wedding day preparations. Like many brides, I believed that I had to be perfect to be beautiful and happy on my wedding day. Although my initial aim was physical perfection, my self-care practice led me to what became a spiritual journey. Self-care helped me defeat my body-image issues, anxiety, perfectionism, and low self-esteem. In retrospect I can see that it truly changed my life. I discovered a deep spirituality, connection with my highest Self, and the deepest happiness. At it’s core, self-care is about love – it is a physical, tangible way to show yourself love. We are all programmed by our culture to be self-critical and these negative thought patterns are deeply ingrained. Neuroscience has proven that thought patterns are wired into our brains, and we can only create new patterns by consistent repetition of new, positive thoughts. Acts of self-care are steps towards re-wiring our brains for self-love and happiness. In a culture that encourages negative self-talk, low self-esteem, and running our bodies ragged, self-care is a small act of revolution to create positive change. It has a ripple effect and raises the love, health and vitality of all those around us. Self-care has taken on an entirely new meaning and I have been learning new tactics and reprioritizing what it means to me. Motherhood has shattered any lingering attachments to perfection and taught me to truly love myself and my body. I am constantly experimenting and learning my way around the wellness world and I’d love to take you on that journey with me. This will be a space where I share the things I’m already doing, reading about, making, and inspired by in the hopes that it might help or inspire you too and allow us all to learn more about our individual Selfs together. MOMENTS OF MEDITATION: I used to think meditation must be a silent, still twenty or so minutes – another preconceived attachment to perfection that motherhood has beautifully adjusted for me. I now take any collection of minutes I can find to follow my breath and be in my body. 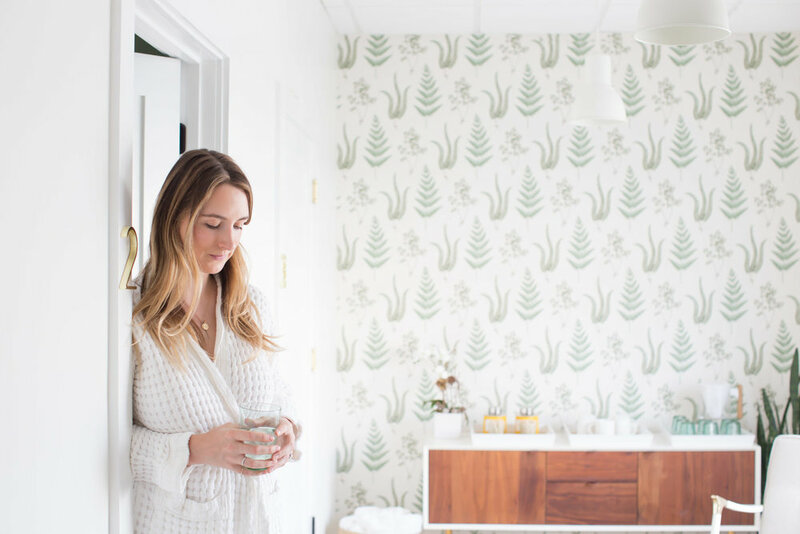 Sometimes I find my mind racing while I’m nursing or holding one of the boys and I stop and remind myself – you’re in your body, holding your baby’s beautiful body, and this helps me cherish these fleeting moments. HEAT THERAPY - BATH & INFRARED: I missed the heat so much when I was pregnant. Baths are great in that they can be super quick – just a 5-10 minute Epsom soak can reset me. Although Inner Light is my business, it has been hard up until now to find the time to sit in the sauna. Now I am trying to use the saunas 2-3x a week. It immediately changes my mood and I love how it gets my heart rate up and circulation going. MOVING MY BODY: A twin pregnancy is very limiting for exercise – I had to stop spinning at 14 weeks and walking at 30 weeks. In addition to losing all my muscle tone, the 70lbs I gained put a massive strain on my body. Not to mention that I fell and pulled my groin 3 days before giving birth. This is a long way of saying I am very out of shape and it has taken my body a long time to heal. I have been seeing Rachel at Resolution Physical Therapy for pilates-based PT past three weeks and I am so grateful to for her. I am also starting to walk with the boys, which feels so good. While I loved being cooped up this winter with our new family, it feels incredible to be getting back outside. Thank you for reading my first-ever blog post! I am so excited to share more and be learn on this journey together. COPYRIGHT INNER LIGHT WELLNESS 2019. ALL RIGHTS RESERVED.